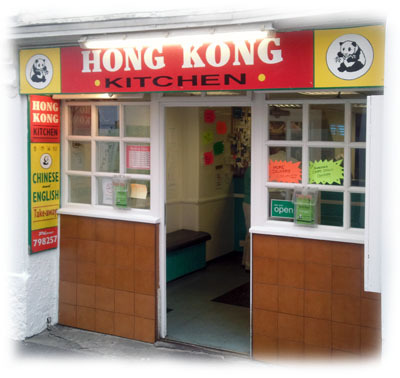 Hong Kong Kitchen Chinese and English take away. St Ives Cornwall's most established Chinese take away, offering a wide variety of traditional exotic Chinese dishes as well as many original English meals. We offer a superb choice of excellent value special set dinners ranging from just two people to four or more if so required. We would also be pleased to prepare meals that are not on the menu if you request them. We are open every day - 5.00pm - 11.30pm. Delivery £1.50 within 2 miles. Salt & Pepper Chicken (Spicy Hot) NEW!! Salt & Pepper Chips (Spicy Hot) NEW!! King Prawn Szechuan Style NEW! !